The "blue flu" has struck the Seattle Police Force and the majority of officers are on an unofficial strike. Overworked and understaffed, detective Lou Boldt is committed to remaining on the job no matter what. But when a string of robberies and the brutal near-murder of a female cop descend on the city, the pressure of being a nearly one-man operation threatens Bodt's psyche and his marriage. With the help of Daphne Matthews and Sergeant John LaMoia, Boldt is able to make slow progress cracking the case and their work leads them to a Denver convict and his brother, a hardened criminal. Boldt and Daphne come to realize that the robberies, assaults, and strike are somehow connected - and that his life is now in very real danger. 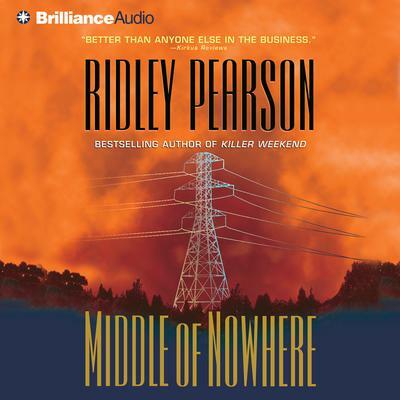 Filled with the fast-paced, spiraling action that has made his previous novels "irresistible" (The Los Angeles Times Book Review) works of suspense that "grip the imagination" (People), this latest offering from "the best thriller writer alive" (Booklist) is certain to win Ridley Pearson an even more enthusiastic audience.